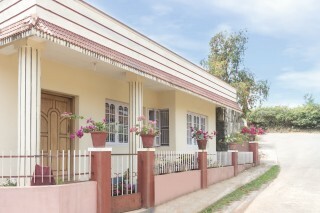 Nestled in a quiet neighbourhood, this is an offering of a three-bedroom homestay. 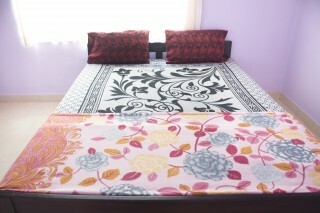 The homestay can accommodate up to nine people and is ideal for budget travellers. Your Space This homestay boasts a vibrant balustrade draped with creepers and lined with potted greens. Further, it is designed with tiled parapets and creamy exteriors. Inside, a six-seat dinette is provided in the dining room for mealtime convenience. 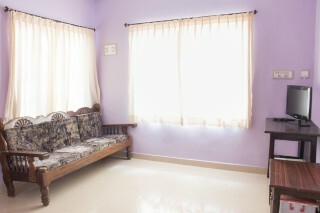 A plush sofa is fronted by a flat-screen television in the living room for your entertainment. The bedrooms are furnished with fluffy beds and writing desks. The en suite washrooms are tiled and well appointed with western sanitary ware. Guest Access Guests have access to the entire homestay. Guest Interaction Feel free to reach out to the caretaker present in case you need any assistance. Neighbourhood Overview Omkareshwara Temple is located 2.3 km from the property. 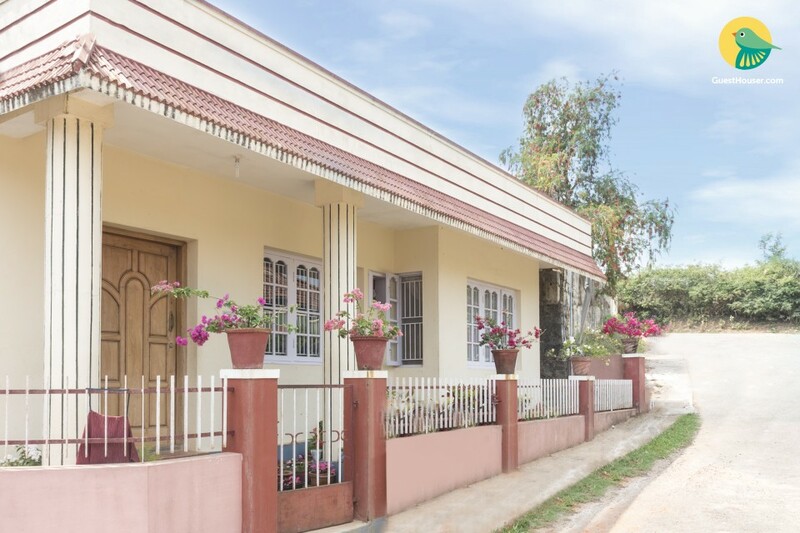 These are some of the other attractions nearby that guests can explore: Rajas Seat - 3.4 km Madikeri Fort - 2.4 km Rajas Tomb - 650 m St. Marks Church - 2.3 km Abbey Falls - 20.5 km Getting Around The property is located 96.9 km from Coimbatore International Airport, 1.2 km from Udhagamandalam Railway Station, and 1.6 km from Ooty Mini Bus Stop. Additional Information Guests are required to provide valid ID proof at the time of check in. Travel assistance is available. Car rentals, services of a tour guide, and trekking arrangements can be provided at an additional charge. Tea and coffee can be provided. Breakfast, lunch, and dinner are not provided. Please be mindful of the neighbours while playing music. 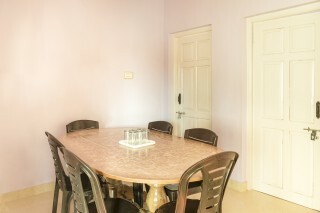 Outside food is allowed inside the homestay. 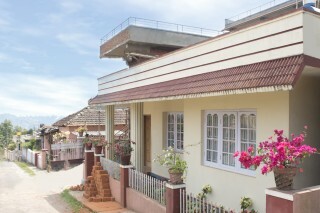 ""Perfect location - near Madikeri fort and Sunset viepoint ""
Francis and his family were the most cooperative and accommodating hosts. 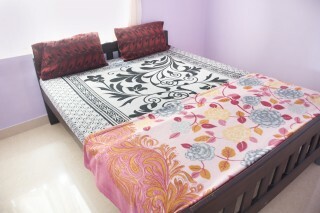 The house was spotless, we were provided with all basic amenities needed. They also let us use their kitchen for cooking one night, and were very helpful in that as well. They also helped us plan our itinerary to make sure we got to see the best of Coorg and gave us the required contacts to make sure we have a memorable trip. Thank you Francis and family, for showing us the best time!